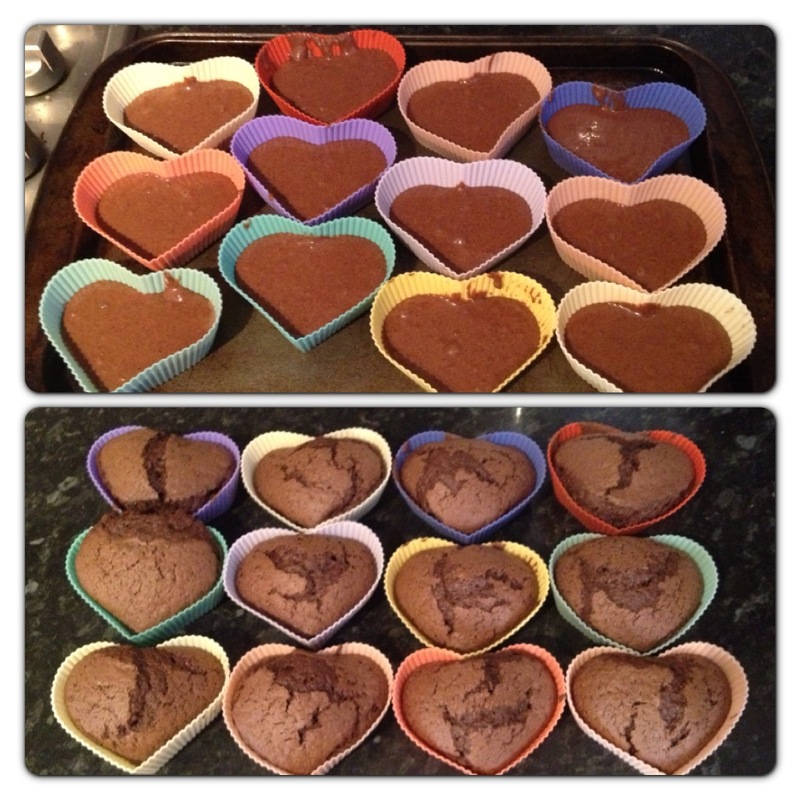 We enjoy baking, it is always a lot of fun making cakes and eating afterwards! 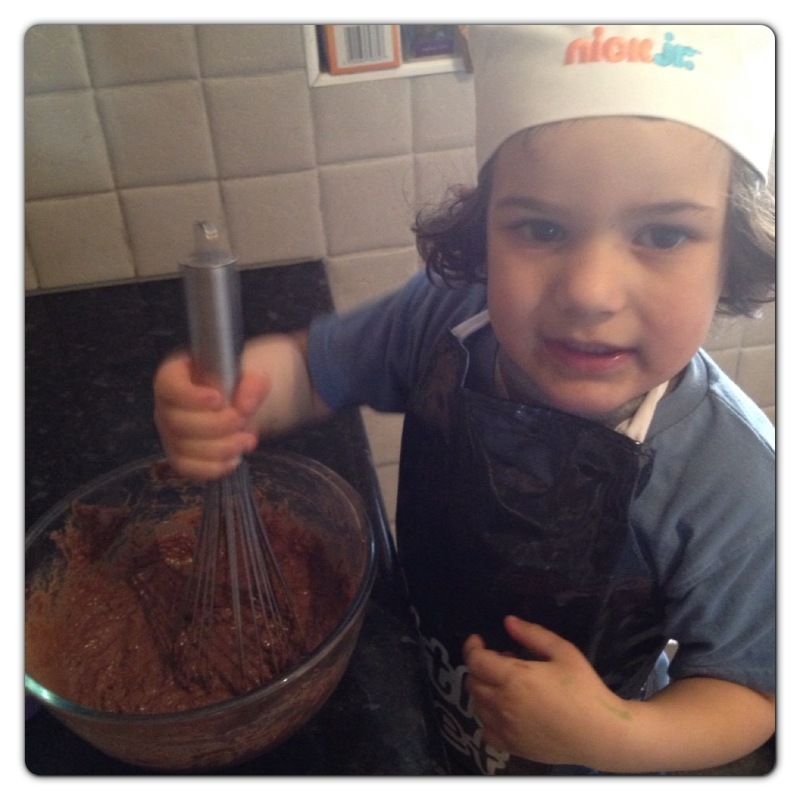 I have previously shared my Top 5 Tips for Baking with Kids, baking is a great way to spend quality time with children. 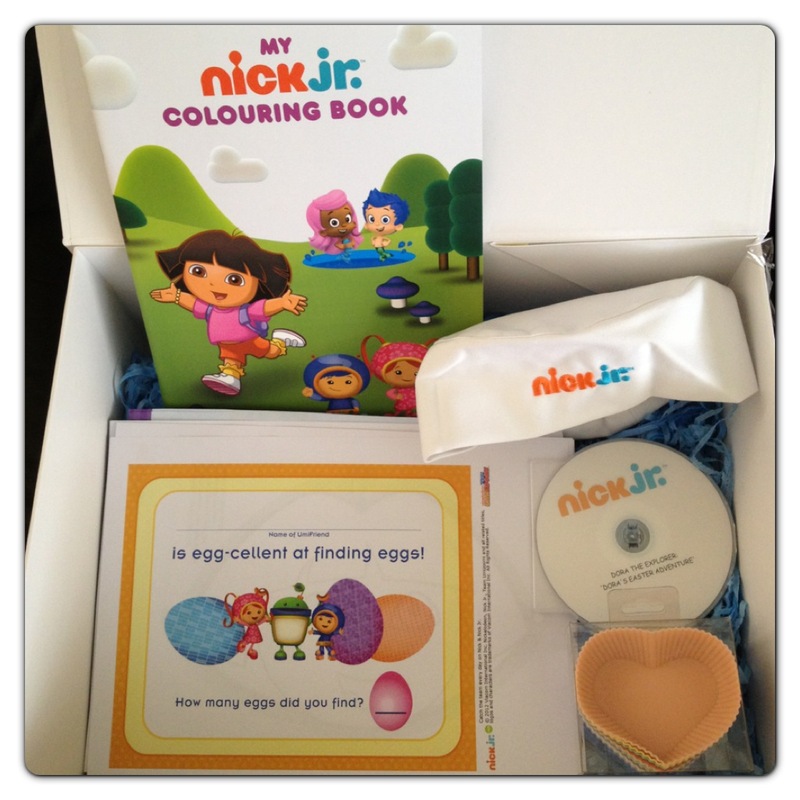 Nick Jr sent us an Easter pack with a selection of items including a brand new Nick Jr colouring book, Nick Jr chef’s hat and silicone cupcake cases. 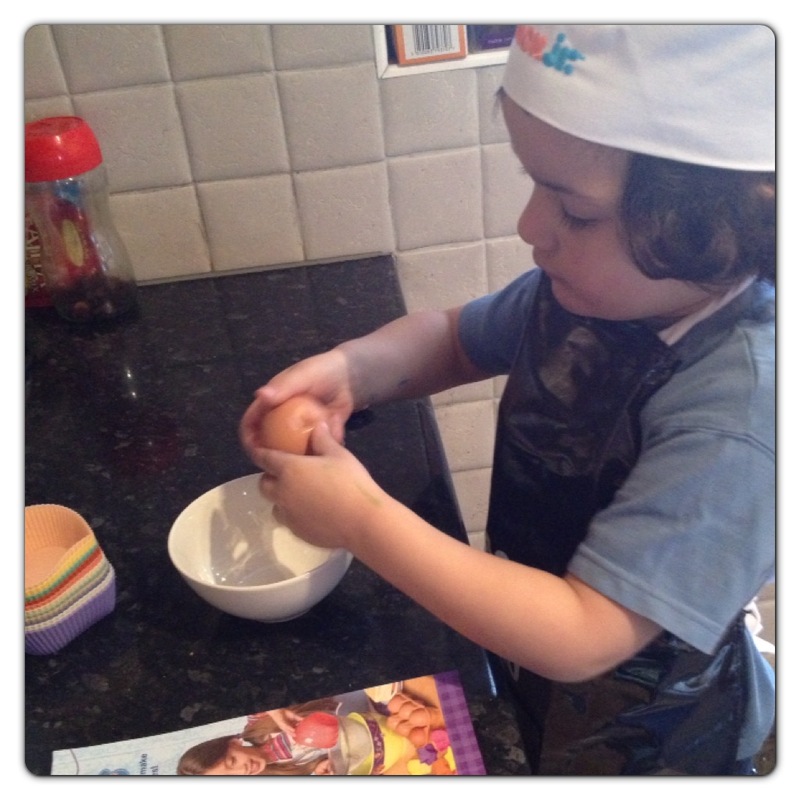 Little man was very excited when we received the pack and he couldn’t wait to be one of Dora’s Little Cooks. 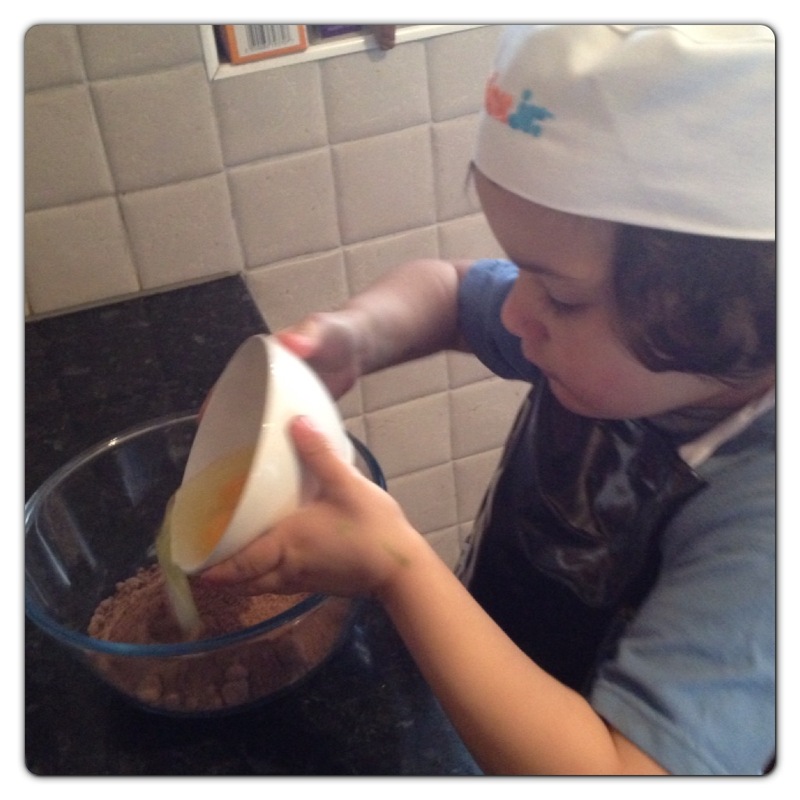 We adapted the recipe below found at Nick Jr website to make our butterfly cupcakes. Put the butter and sugar in a bowl and beat it until it goes pale and feels lighter. Put the flour in a sieve and shake it gently over the bowl until it has all fallen through. Sift the cocoa and baking powder into the bowl in the same way. Crack the egg into a small bowl. Make sure no bits of shell fall in. Pour into the big bowl. Measure out a teaspoon of vanilla essence, then mix everything together. Place the cases on a baking tray and spoon a little of the mixture into each one. Bake the cake for around 15-20 minutes or until they have risen. Place the cupcakes on a Dora serving plate, top with a blob of framage frais and a raspberry. You could also use another fruit on the top such as a strawberry or cut the cupcake in half and sandwich with a little raspberry jam. As the heart-shaped silicone cases were a bit bigger than the cases in the recipe, we doubled the recipe, so there was enough mix for 12 cases. 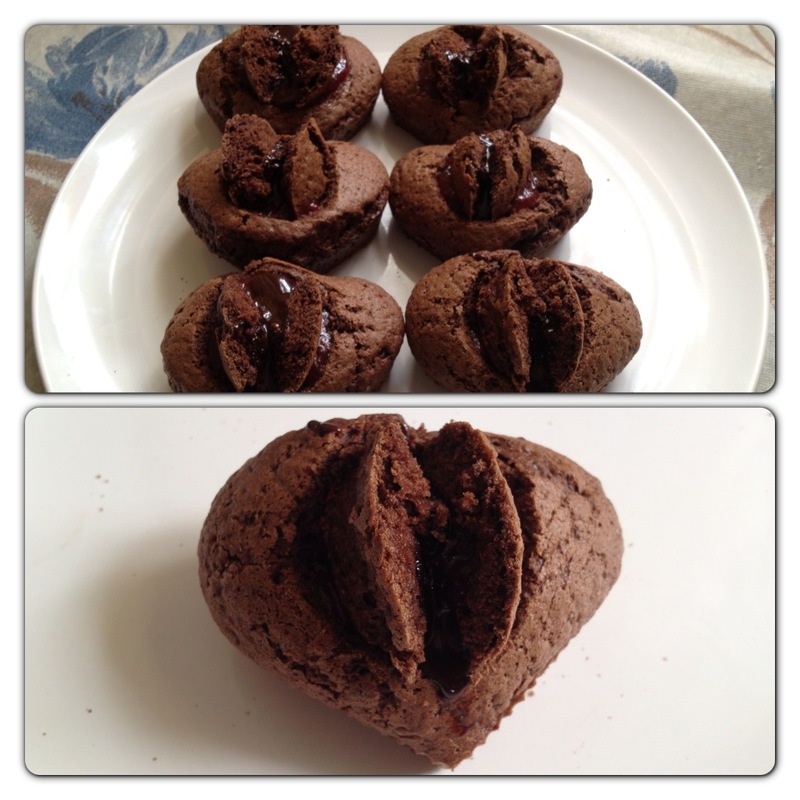 I always wanted to make butterfly cupcakes, so it was a perfect opportunity to try and make some. Once the cakes are completely cool, use a small pointed knife to cut a circle around 2.5cm width out of the cake leaving a cavity in the centre. Cut the round in half and set aside. 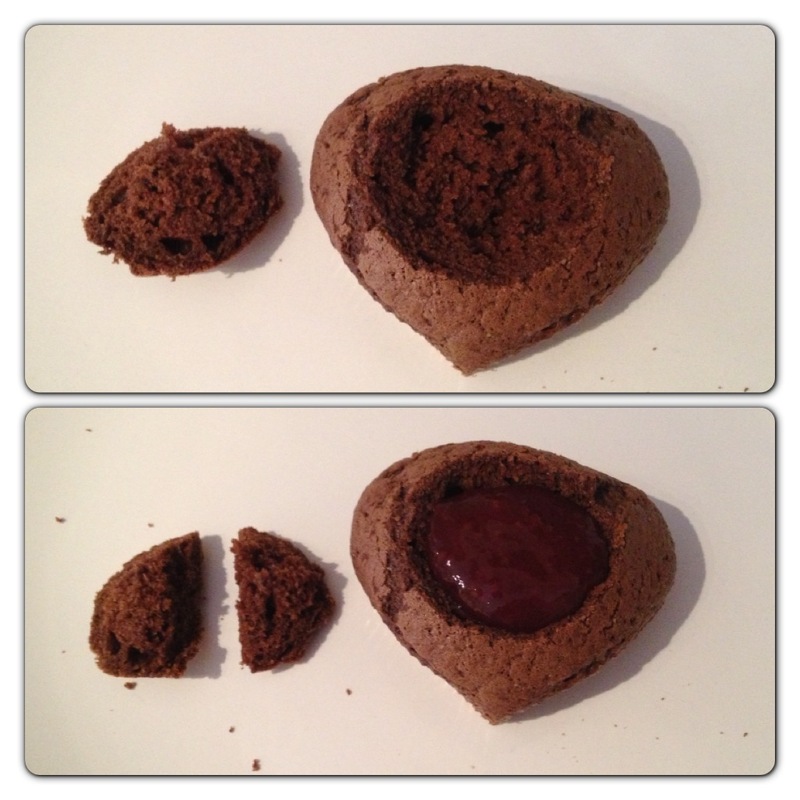 Now fill the centre of the cake with your filling of choice, we used raspberry jam in the middle. Return the two pieces of cake to sit on top like butterfly wings. We add a drizzle of chocolate buttercream. You can make vanilla and chocolate mix into butterfly cupcakes. Next time, we will be trying vanilla cupcakes instead. You can choose any filling for your cupcakes. Next time we will try some vanilla buttercream with a dash of raspberry jam on top. The butterfly cupcakes are extremely easy to make and we all loved the final result: cute little cakes shaped like butterfly wings. They certainly flew off the plate! The Easter pack was provided free of charge, however I was under no obligation to write this post. The opinions expressed in this review are honest and my own. 8 Responses to "Baking with Kids: Butterfly Chocolate Cupcakes Recipe"
Yummy these look great, gonna try make these on the weekend with my boy. 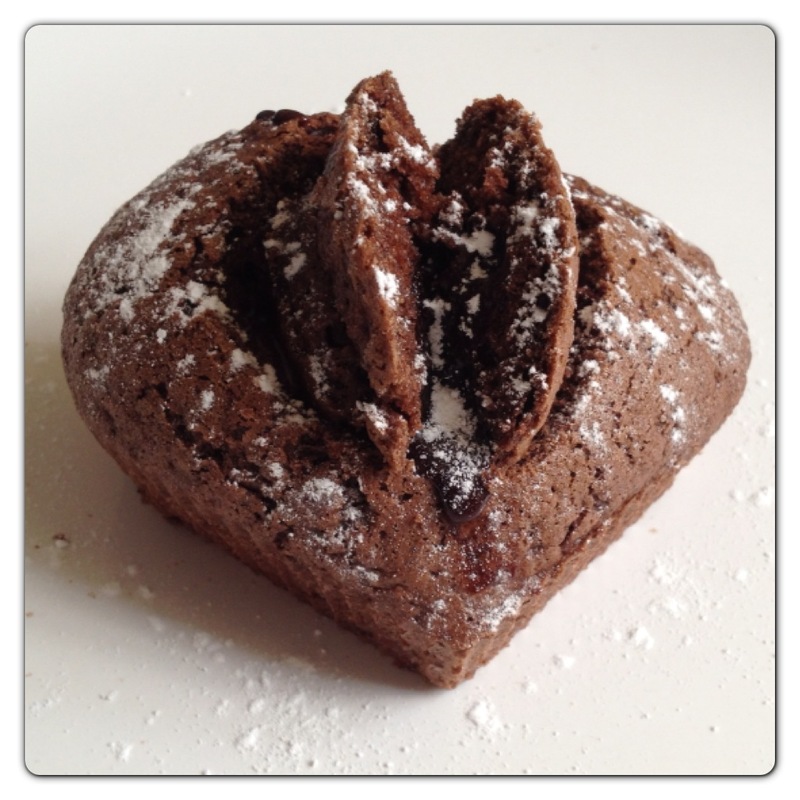 Lovely idea – with the storms due today I think I might bake some with the kids! 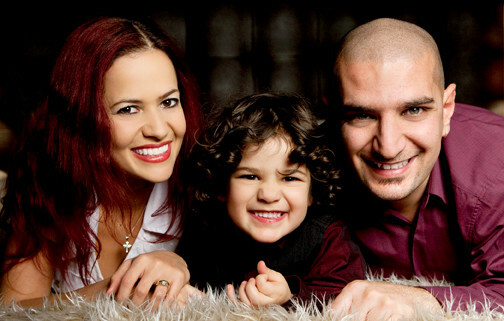 Love your photos!!! !